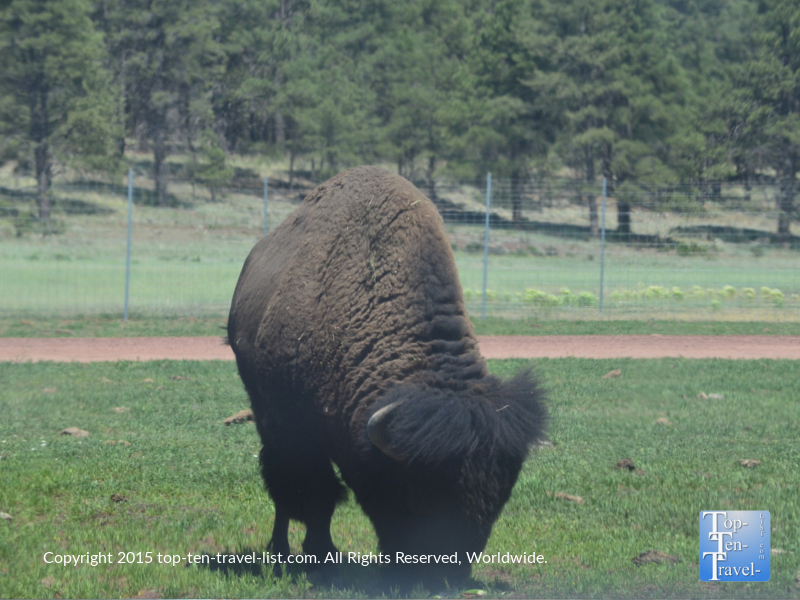 A Drive Through Beautiful Bearizona Wildlife Park in Williams, Arizona - Page 4 of 4 - Top Ten Travel Blog | Our experiences traveling throughout the US. 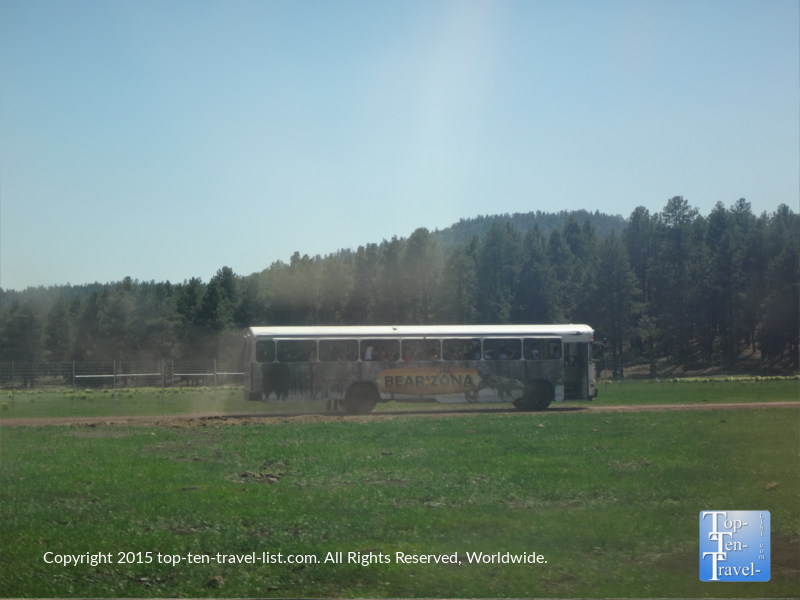 If you don’t feel like driving yourself, you can take a leisurely, narrated ride along the Wild Ride Bus tour. In the hour or so journey, the tour guide will give you additional information on the animals found throughout the park. 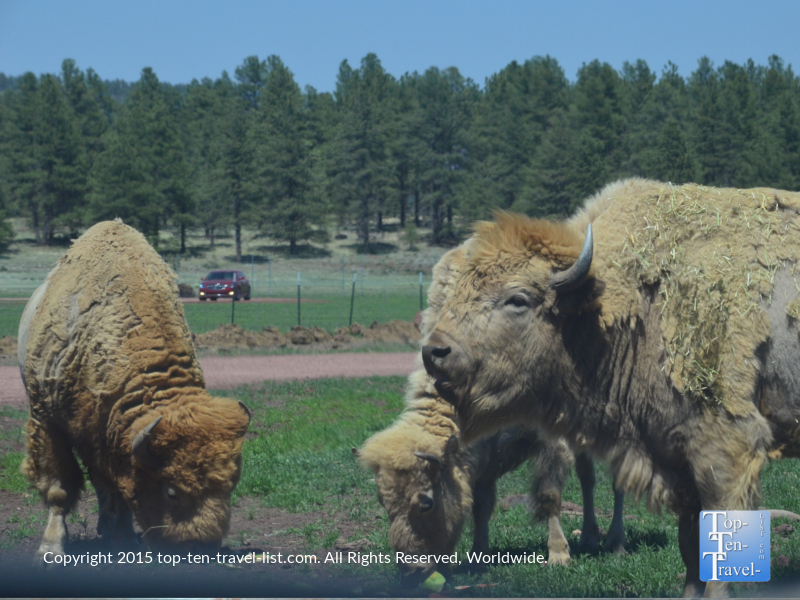 The staff will also feed the animals, so you will get a nice up close view of many of the major species like the bison and mountain goats. 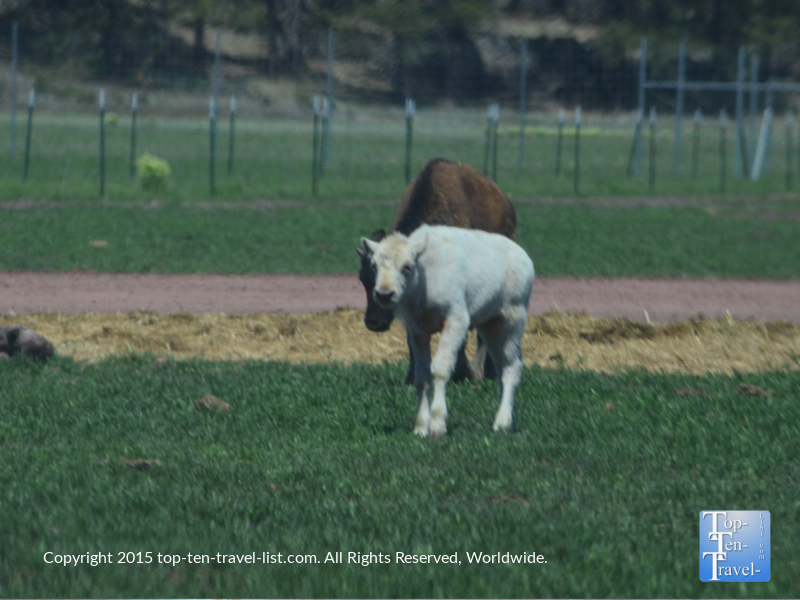 During the spring season, you are bound to see lots of baby black bear, sheep, and bison. This is a great time to plan your visit as the temperatures are pretty mild and it’s not yet as crowded as the busy summer season. 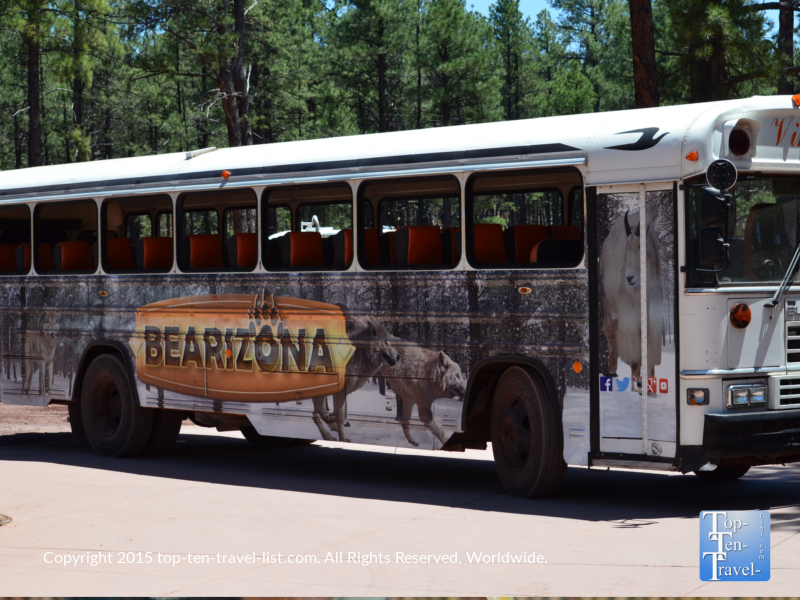 Overall, a trip to Bearizona is a great experience and definitely worth the $20 admission fee. 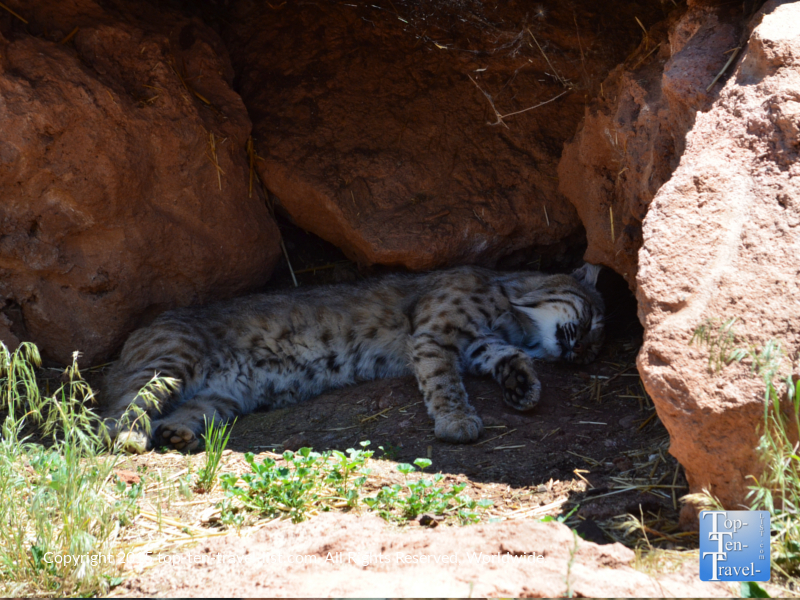 You will see many animals, experience a great live show, and enjoy a peaceful stroll through the tree-lined nature area. It’s a great half day activity for anyone living in or traveling around the Williams area. 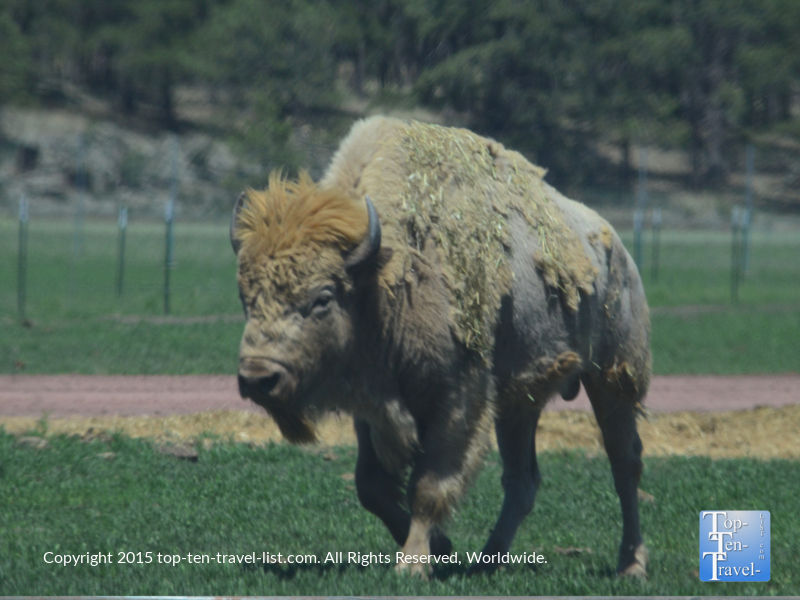 *Arrive early in the day when animals are most active. If you arrive too late, the bobcats and wolves will likely be sleeping/avoiding the sun. *Bring with plenty of sunblock and water for the walk through section. It can get pretty hot in the afternoons. 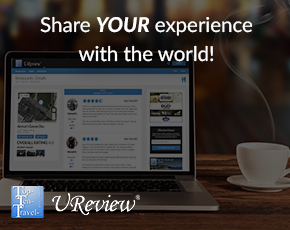 *Plan at least 2 hours for your visit to give you enough time to see all exhibits, take the bus ride, and see the raptor show. *Know that the last car is admitted an hour before closure. *Pack your own lunch, save some money, and enjoy the quiet, wooded picnic area. 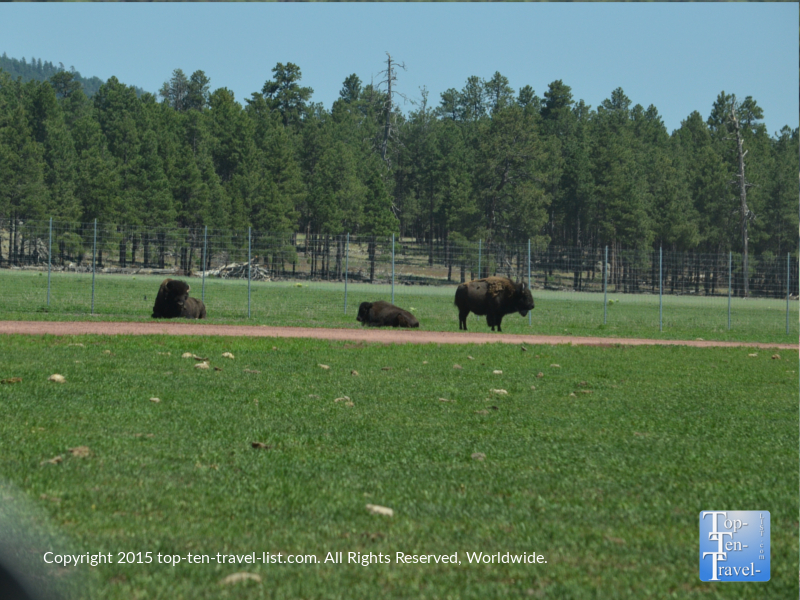 *The warmer months are the best time to visit as more animals will be out, getting to Williams will be much easier without hefty snowfall, and walking around Fort Bearizona will be much more comfortable. Ticket prices: $20 for adults, $18 for seniors, and $10 for kids 4-12. 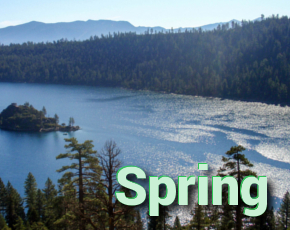 Bearizona is open year-round enabling you to take in different views based on the changing seasons. 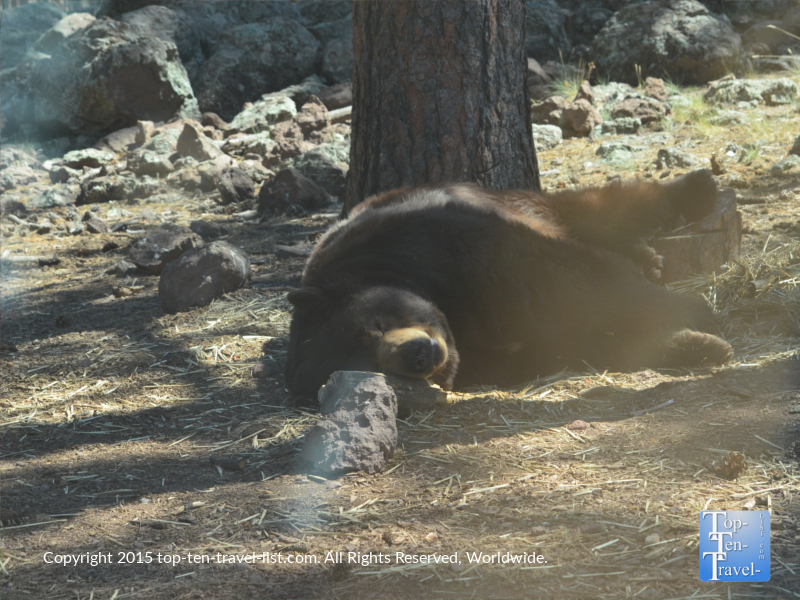 Don’t worry you will still see bears during the winter season as they do not hibernate due to the constant supply of food. Normal hours are 8:00am-6:00pm. The park closes early on Christmas Eve and Thanksgiving (last car is let in at 2) and is closed on Christmas Day.